Julie Nicholson, PhD, is Deputy Director for WestEd’s Center for Child and Family Studies and Adjunct Professor at Mills College, USA. Linda Perez, PhD, Licensed Clinical Psychologist and Professor of Education at Mills College, is Co-Director of the Mills Infant Mental Health Program and Clinical Director of the Epiphany Center Family Treatment Program. 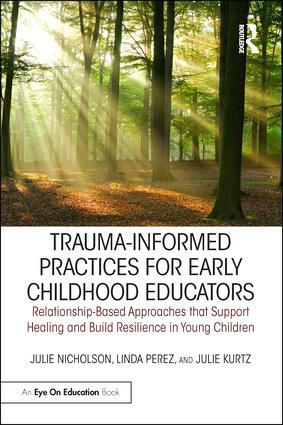 Julie Kurtz, MS, LMFT, is Co-Director for the Trauma-Informed Practices in Early Childhood Education Project and a Regional Director for California’s Center on the Social and Emotional Foundations for Early Learning/Teaching Pyramid at WestEd’s Center for Child and Family Studies. She also operates a private therapy practice in the California Bay Area Region.